TalentDash will be launching officially in mid-August, and here’s a sneak peek into what you can expect from the talent-mapping platform. As some of you loyal readers here on our TalentDash blog should know, our platform has been in beta phase and has not been launched officially yet. During this time, we have been working on refining our platform’s user interface and experience. The good news is, we are almost ready with our first version, and our launch is slated for some time in mid-August! We hope you are just as excited as we are. Well… if you’re having qualms (about being excited about it), how about we give you a sneak peek of what to be excited about? But first, let us just re-introduce ourselves. TalentDash is a talent-mapping platform with the objective of helping companies build their talent pipeline, and ultimately, find their ideal candidate. Our modus operandi involves aggregating data from our expansive database into visual heat maps that is easily digestible for the layman. We want to help companies make informed hiring decisions even for unique roles. Not too sure how talent mapping can benefit you? Find out more here. 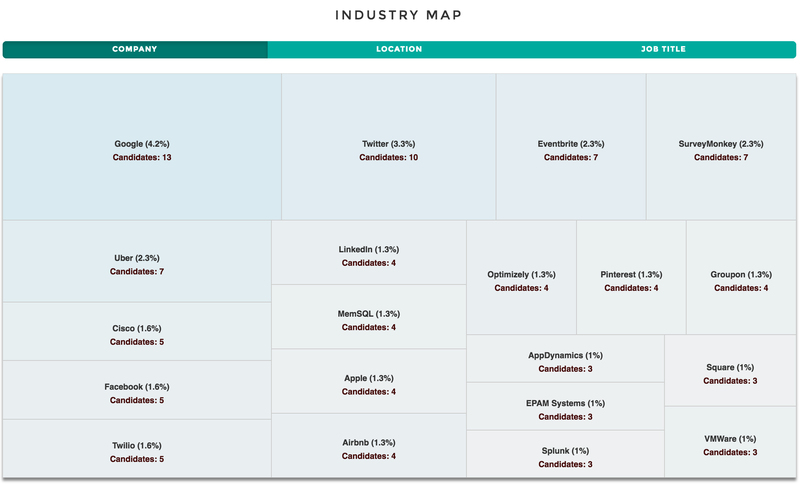 If you’ve ever wondered where your ideal candidates are working at, this Company Map is for you. The table gives an overview of the top 20 companies that have the highest number of matching candidates, and the shades of the boxes indicate the quality of matches—bullseye, great, or recommended. 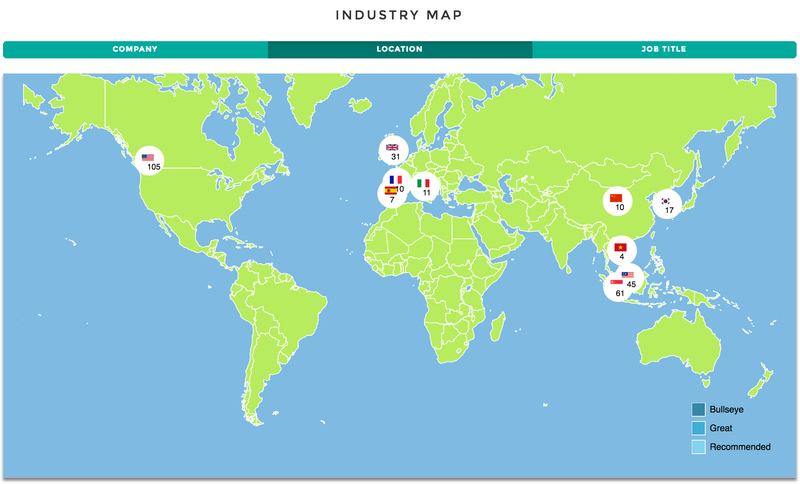 The Location Map provides a bird’s eye view of the spread of talent around the world (or region, depending on your search parameters). Having a shortage of Engineers in your country? With this map, you can have a good sense of where to find your “supply” of talent. Just as a single shade of colour may have different names, your ideal candidate may be holding a job title that is different from your search. 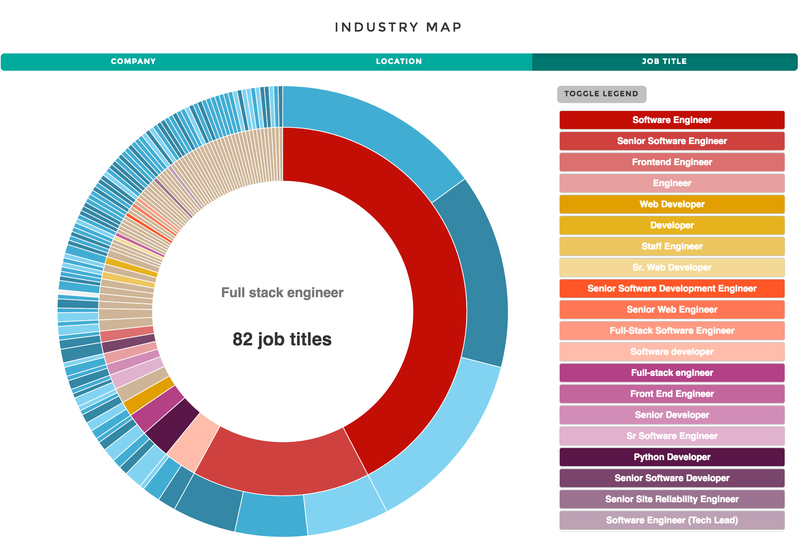 Having a different job title does not necessarily mean that the candidate is not a match—a Full Stack Engineer with 5 years of experience (and whatever other requirements that you searched for) may be simply called a Software Engineer in another company. With this feature, you can refine your job ads by using the most relevant (and specific) job titles for your job posting. These are just three highlights of the many features we have on our platform. We hope that we have managed to get you stoked for the real deal that is coming up soon. Stay tuned for that! Interested in trying TalentDash before the official launch? Get in touch with us at admin@talentdash.com for a free trial!